Majuda™ Voice is an affordable, modular, Enterprise Call Recording and Quality Management System that scales linearly from 5 channels up to thousands of channels. Through its CallTracker and QualityTracker software, Majuda™ Voice offers a suite of agent analytics generally found in larger systems, including screen capture, PCI Compliance and Agent Evaluations. Majuda™ Voice is sold through a network of Worldwide Authorized Resellers. Majuda™ Corporation designs, develops and sells advanced Call Recording and Quality Management Software Solutions to small, medium and Enterprise size business through a network of Authorized Resellers and Distributors throughout the world. The company’s products are deployed globally in Contact Center, Financial, Customer Service and Compliance Oriented business. The company provides a range of innovative, cost-effective products including call recording, quality management, screen capture and agent scoring. Majuda’s software architecture is built on Microsoft Silverlight technology, which makes it flexible and customizable for specific customer environments. For more information on Majuda™, visit http://www.majuda.com. Teleco South Florida currently services Miami – Dade, Broward, Palm Beach and Treasure Coast. They specialize in both Toshiba and NEC VoIP communications systems, along with a wide range of advanced applications such as Auto Voice Attendant, Voicemail, Interactive Voice Response Systems, Unified Messaging, Contact Center Application, Call Accounting and of course, Call Recording and Quality Management Systems. In addition to Communications, Teleco South Florida also provides IT Services and Support, as well as Security and Video Surveillance. “The growing need for call recording as a result of compliance requirements, liability issues and demands for better customer service, naturally leads consumers to their IP/PBX Solutions provider. Teleco South Florida in partnership with Majuda, can offer unique business solutions to handle these needs in today’s ever evolving business environment. We look forward to our mutual launch of these solutions in the coming weeks,” stated Bill Carlin, Director of Business Development for Teleco South Florida. Majuda and Teleco South Florida expect to launch the Call Recording and Quality Management Program in early February. Currently serving over 5,000 customers in South Florida for 30+ years. Specializing in all aspects of Telecommunications, Computer and Networking Services, Video Surveillance and Security as well as Cabling Infrastructure. Our relationships with top providers in the industry allow us to bring cost effective “one-stop” solutions for all our customers. For more information on Teleco South Florida, visit http://www.telecosouthflorida.com. Majuda™ Voice is an affordable, modular, Enterprise Call Recording and Quality Management System that scales linearly from 5 channels up to thousands of channels. Majuda™ Voice is sold through a network of Worldwide Authorized Resellers. The first release of Majuda™ Voice with the AudioCodes Mediant 1000 will be available through CCG Telecom, based out of Westerly, Rhode Island and will be featured on CCG Telecom’s AudioCodes Superstore website (www.audiocodessuperstore.com). Asterisk World is focused on Asterisk business users and potential users who are interested in getting more in depth experience with Asterisk, and who also want to learn more from other Asterisk adopters. Asterisk World at ITEXPO is a pure-play IP conference, giving attendees the opportunity to experience the global reach of Asterisk and the world-class solutions that can solve traditional problems with new technologies and techniques. Majuda Voice expands the Asterisk Contact Center offering by providing a Call Recording and Quality Management System add-on that offers a wide range of call recording functionality, along with Agent Performance Evaluation including Screen Capture, Agent Scoring and Agent/Supervisor Notes. 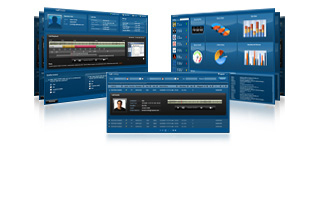 The Majuda Voice Suite combines Majuda CallTracker and Majuda QualityTracker to provide a synergistic all-in-one solution that enhances an organization's ability to listen and understand customers' wants and needs; ensure service level goals are met and maintained and increase call center productivity, quality and effectiveness. Majuda Voice for Asterisk provides cost effective analytics for both front office and back office deployments; small business to Enterprise. Majuda sells it’s products through a network of Authorized Majuda Resellers throughout the world. To find out more information about becoming a Majuda Reseller, please contact us through our website at www.majuda.com. Registration for Asterisk World is now open. Majuda Corporation designs, develops and sells advanced Call Recording and Quality Management Software Solutions to small, medium and Enterprise size business through a network of Authorized Resellers and Distributors throughout the world. The company’s products are deployed globally in Contact Center, Financial, Customer Service and Compliance Oriented business. The company provides a range of innovative, cost-effective products including call recording, quality management, screen capture and agent scoring. Majuda’s software architecture is built on Microsoft Silverlight technology, which makes it flexible and customizable for specific customer environments. For more information on Majuda®, visit http://www.majuda.com. TMC is a global, integrated media company that helps clients build communities in print, in person and online. TMC publishes multiple magazines including CUSTOMER, INTERNET TELEPHONY, M2M Evolution and Cloud Computing. TMCnet is read by as many as 1.5 million unique visitors each month, and is the leading source of news and articles for the communications and technology industries. TMC is also the producer of ITEXPO, the world’s leading B2B communications event, as well as industry events: M2M Evolution; Cloud4SMB Expo; DevCon5; Super Wi-Fi Summit, CVx; Asterisk World; StartupCamp, and more. Visit TMC Events for a complete listing and further information. CCG Telecom is an Authorized VAR Distributor for Majuda Corporation and has extensive experience as the number one sales organization in North America for AudioCodes products and services. This experience is essential for an effective Majuda installation base expansion. “In today’s marketplace having the best call recording product needs to be paired with the finest representation possible. CCG Telecom is the necessary elite sales organization to accomplish Majuda Corporation’s sales requirements,” stated Kevin Yorio, President of CCG Telecom. Majuda Corporation relies on CCG Telecom to concentrate on selling and managing all the moving parts to complete a transaction. This enables Majuda Corporation to focus on supporting their installation base and continuing R&D operations. The partnership will leverage CCG Telecom’s professional sales expertise to support End Customer opportunities as well as assisting in the recruitment of new Majuda Software Resellers. “The relationship with CCG Telecom will allow us to continue our expansion of resellers throughout North America and open new sales ecosystem opportunities for Majuda. Our expansion into online sales and a partnership with a professional sales organization such as CCG Telecom, will increase market exposure of the Majuda product line, as well as help us meet our planned reseller goals. We look forward to a successful and symbiotic relationship and are excited about the opportunity,” stated Michael Levy, CEO of Majuda Corporation. Majuda plans to feature CCG Telecom on their corporate website and promote sales through CCG as opportunities present. Majuda and CCG intend to launch concurrent online promotions of the Majuda solutions in the coming weeks. A concern with regards to the storage of sensitive and private information has resulted in a flood of regulation throughout the world. Private information regarding medical records of patients, social security numbers, credit card and banking information have to be either removed from recordings or stored in an accepted method. Majuda® Corporation is proud to launch the MAJUDA® Compliance Module. In addition to granular security, password-restricted access, restriction controls on call playback and calls being stored with 256bit AES encryption in the database, Majuda has developed a solution to remove the sensitive data from a particular part of the call as well as remove any related screenshots during that interaction (if applicable). There are two ways the system identifies these interactions, through either API integration or manual activation by an agent. The Majuda system also has the ability to mark a call that has been identified as containing sensitive information at a later stage, and restrict access to that call on a permanent basis. Majuda is committed to continue evolving and updating the module to comply with the necessary regulations. Majuda® is a leading provider of Enterprise Call Recording and Quality Management Solutions for enterprises and contact centers. Majuda boasts the first to market Pro-active site monitoring tool, MajudaAlert that allows their customers to benefit from a constant monitored recording environment. For more information, contact Michael Levy at 561-9810119 ext 506 or visit www.majuda.com. In keeping with the ethos of staying ahead of the curve and the ability to innovate, Majuda® Corporation is proud to launch MAJUDA® CLOUD. Majuda® Cloud is an industry-first compliant, Enterprise Call Recording and Quality Management solution for hosted phone service providers. Majuda has a proven track record in providing enterprise-ready solutions that are approved and compatible with the majority of VoIP solution providers, which allows us to leverage multiple platforms and recording topologies (not limited to SIP). Majuda® Cloud is a segmented solution that allows each client in the hosted environment to have their own unique database and recordings archive. This is a critical enhancement to privacy and security, as each user has secure access to their data with little or no risk of unauthorized or erroneous access. It also facilitates a simpler method of exporting data and providing users with a truly portable and scalable Call Recording and Quality Management solution. Majuda’s web-based architecture and enhanced streaming capabilities ensure fast delivery of calls to users wherever they may be and our user-friendly graphical user interface requires minimal orientation and training in order to make use of the array of features available. Majuda® Cloud also includes Majuda’s feature rich Quality Management Suite that is accessible through the same web interface allowing for efficient and effective Quality Reporting. “We are extremely excited about the Majuda® Cloud launch and believe it will offer significant leverage to our partners in the hosted PBX market. It will also allow us to bring the power of Majuda® Voice to more customers around the world.” said Ryan Kahan, CEO of Majuda Corporation. Majuda® Remote Link is an innovative product that is ancillary to the Majuda® Voice Suite. Majuda® Remote Link gives you the ability to securely consolidate recordings and metadata from “branch sites” to a central location using either real-time or scheduled methodologies. Security logs, agent notes, screen shots and all associated information remain current and in tact ensuring centralized compliance. “We have given our customers with multi-sites, the ability to manage and utilize our functionality for their complete infrastructure at head office or a central location, without compromising the data. This allows for improved efficiency and cost savings which directly impact their bottom line,” said Michael Levy, VP of Sales & Marketing. While the new Consumer Protection Act and other existing legislation, such as the Electronic Communications and Transactions Act, has ensured that compliance features high on the call centre management agenda, call centre Human Resources managers continue to face familiar challenges: increasing employee productivity, improving the service levels offered by call centre agents and boosting company profits through customer retention and data mining. To achieve the often-conflicting objectives of strict legal compliance and responsive customer service, call centre HR managers need more than just a partial call recording solution, in which a call ‘may’ be recorded. They require a turnkey voice logging solution that will not only address compliance issues, but will also enable effective call centre agent evaluation and quality monitoring. Recording and storing of conversations with customers enables organisations to monitor their employees in accordance with the law and provides organisations with proof that can be used to avoid potential disputes - both on the part of the employee and consumer. Recording all telephone calls - incoming and outgoing – using the right voice logging solution, enables organisations to gain insights into their customers’ experiences with them, to improve customer service levels and retention, to develop corporate best practices and procedures for the organisation and to create effective training programmes for agents. For more information visit www.majuda.com or contact Matthew Balcomb at the South African Head Office on 011 784 4441. The New Legal Landscape: Call logging a must! The combination of the existing Electronic Communications and Transactions (ECT) Act of 2002, and the new Consumer Protection Act (CPA) of 2008 which comes into effect on 1 April 2011, is transforming the business landscape in South Africa. These acts are continuously driving the implementation of fair business practices, with particular emphasis on protecting the rights of consumers (which include natural and juristic persons and public bodies) and regulating their electronic transactions with suppliers and service providers. "To fulfil the requirements as set out by both acts, companies will need to do more than simply implement mere policies and procedures," comments Matthew Balcomb, Director of Majuda Software Southern Africa, an affiliate organisation to Majuda Corporation International which specialises in the development of call recording and quality management solutions. "Instead, a governance, risk and compliance (GRC) strategy that is tightly integrated into the operations and the culture of an organisation is required to ensure fair practices are in place at every level and during every interaction. Since much of the interaction with consumers – including sales and support, but not limited to commercial transactions only - takes place though call centres in today's modern business world, recording of all telephonic interactions with customers or potential customers is a crucial starting point for mitigating risk and liability exposure. The CPA Act imposes stringent recordkeeping compliance requirements on organisations, compelling them to keep accurate records of all telephonic - and other electronic - interactions with consumers for at least three years. Manual recordings and reports, in particular, are no longer sufficient, particularly if disputes arise. But simply implementing a call recording system will not provide the optimum compliance with the increased legal requirements either. Organisations require a comprehensive, streamlined solution that embraces encrypted voice logging as well as enabling technologies and systems, such as content management and workforce optimisation solutions. Together, these enable an organisation to record conversations with customers, store the data in an appropriate format, easily access this data, and readily reduce it to written and printable formats. In addition, the voice recordings should be enhanced by recordings of the call centre agent's inputs to the electronic system through various applications in which compliance and fair practices have been imbedded. "Fortunately, technology has produced advanced voice recording systems with a level of functionality and user friendliness that ensures compliance and liability risk faced by organisations is significantly reduced, because they provide the organisation with an indisputable voice record that is readily available to confirm the accuracy of information provided or received, giving the organisation legally tenderable evidence if required by a court of law and thereby protecting both the company’s clients and employees. In addition, such systems allow managers to improve the quality, performance and effectiveness of their contact centres and call centre agents. This, in turn, allows companies to optimise communications resources, enhance overall workplace efficiency and reduce operational costs, thereby increasing customer satisfaction, customer retention, and revenue," explains Balcomb. Companies both large and small have requirements to fulfill when it comes to legal protection. Just recently, the South African government introduced legislation that will increase use of call logging and boost growth in the enterprise call recording industry. Introduced on April 1, the Consumer Protection Act is designed to reduce immoral business practices in South Africa, and has paved the way for call recording companies to aid companies in obtaining compliance. Legal organizations are especially vulnerable to contract violations and liability claims, and call recording aids in protecting them on several levels. Majuda, a global provider of enterprise call recording, has aided legal organizations, including municipal departments, in maintaining compliance for years. Providing reliability, data protection and security, call retrieval, and advanced storage and archiving, the company recognizes the needs of legal organizations, including law firms, to efficiently verify who said what in order to settle disputes. With Majuda Voice, organizations can streamline the productivity of their operations while maintaining compliance and risk structure. Required proof of customer interactions are becoming more and more vital these days, what with the digitizing of just about everything, and Majuda’s Voice Suite provides functionality to secure contracts bound over the phone in addition to payments made to reduce exposure. Last fall TMC (News - Alert) had the news that Datatec acquired niche software security company Biodata IT SA, which was part of the group's strategy to grow its South African networking, convergence and security distribution business. "The acquisition comes at a time when we are seeing growing demand among our customers for products that will enable them to meet, reach and exceed their security needs with particular reference to the Electronic Communications and Transactions Act," said Jacques Malherbe, the CEO of Westcon SA. Matthew Balcomb, director of Majuda Software Southern Africa, an affiliate organization to Majuda Corporation International, which deals in call recording and quality management, said to fulfil the requirements as set out by the laws, “companies will need to do more than simply implement mere policies and procedures. A governance, risk and compliance strategy tightly integrated into the operations and the culture of an organization, is required." And since much interaction with consumers takes place though call centers, recording telephone interactions with customers or potential customers is necessary for mitigating risk and liability exposure. One option would be a product that embraces encrypted voice logging as well as enabling technologies and systems, such as content management and workforce optimization. Together, Balcomb said, these let organizations record conversations with customers, store the data, access it and reduce it to written and printable formats. The Consumer Protection Act was introduced on April 1 of this year and is targeted to protect South Africa’s consumers by monitoring and reducing immoral business practices and those who practice them. Matthew Balcomb, the director for Majuda’s Southern Africa Software stated that the CPA will spur growth in the call-logging sector, because companies must keep records of their interactions with consumers for three years. Companies that do not practice business within the confines of the CPA legislation will face a fine of about 1 million South African rand, roughly $150,000 US dollars, or they will have to suffer 10 percent turnover as decided by the courts. Offering call recording and quality management solutions, Majuda provides software that will greatly aid those companies unfamiliar with the standards for consumer protection or monitoring of its employees in accordance with the law. Balcomb continued by commenting that many regular consumers interact with companies through call centers which require recorded analytics of their calls to maintain compliance. He noted that mitigating risk is only achieved by recording all interactions with customers over the phone. Calls will now need to be encrypted to assure tampering has not occurred, as well as the automation of recordings and reports. A recent white paper explored these issues, particularly the cost of compliance with enterprise call recording. And, while the activities and platforms necessary for compliance can be costly, the legal and public-image risks associated with non-compliance could be even higher. The good news is that advanced technologies are available to help improve compliance results and reduce the potential risks, all while lowering the overall cost of compliance. One division of the organization that tends to be well-versed in the area of enterprise call recording is that of the contact center. Management within the contact center has employed specific monitoring technologies for some time to monitor agent performance, recording conversations with customers and measure overall performance. Such practices aim to ensure agents are following defined procedures and to provide proof that can be used to avoid potential liabilities. Businesses today struggle with compliance management in enterprise call recording simply because they are trying to provide customers with superior service. At the same time, they are also conducting their activities in an environment that is becoming increasingly subject to external regulations and oversight. Compliance management can be frustrating when requirements can originate from multiple sources. Federal regulations include Sarbanes-Oxley, the Health Insurance Portability Accountability Act (HIPPA) and the Equal Credit Opportunity Act (ECOA). States may also have their own regulations and those companies operating internationally will face regulations in other countries. Private organizations also implement their own regulation guidelines that are increasingly being adopted throughout their respective industries. As of late, there have been some obvious trends in the area of enterprise call recording, including a shift from partial recording to achieve quality assurance, to 100 percent recording to drive compliance management. Companies are also increasing the retention time period for captured interactions beyond the stated minimums and focusing on performance management as a formal method for recording and monitoring.With these trends and the increased focus on compliance, there is a growing demand for solutions that enable the organization to effectively monitor activities to ensure compliance. Majuda offers a CallTracker solution to respond to this demand. The company also delivers a Voice Suite to provide liability recording and policy compliance.Companies already have their reputation on the line when it comes to enterprise call recording – Majuda can help them ensure their reputation is protected and their liabilities minimized. However, with an ever-changing landscape for online and phone commerce, call recording and monitoring has been put heavily under the microscope. Even with improvements and developments, enterprise call recording practices implemented for total compliance also have to be monitored. For instance, to protect the privacy of customers, as well as their sensitive information, the Payment Card Industry keeps track of how e-commerce support providers operate. A proponent of compliance laws, the Payment Card Industry requires its Security Standards Council to evaluate how contact centers store card security codes in digital call recordings. This, in turn, requires businesses to seek out the most reliable, easy-to-use enterprise call recording solution that fits best into business operations, and meets compliance standards, of course. Majuda Corporation, a U.S.-based provider of call recording and quality management solutions, delivers to businesses a suite of the most up-to-date call recording technologies, thanks to its optimal functionality and partnerships with top-notch hardware suppliers. Majuda boasts of a rather new compliance recording module that helps customers comply with regulations including PCI (News - Alert), HIPAA and Sarbanes-Oxley – thus, helping call recording users avoid legal issues or security mishaps. The compliance module comes with a blackout feature that prevents the recording of sensitive data in audio and in agent desktop capture. It also features secure storage and transmission of audio and video recordings, as well as control and report on who has access to customer interaction data. Therefore, according to Kahan, customers who give out or obtain personal information over the phone during a call can take comfort in knowing their sensitive data is recorded correctly under laws put forth by the PCI security alliance and others, as well as stored properly using enterprise-level security procedures. In addition, Majuda’s Voice Suite, which consists of both Majuda’s CallTracker and QualityTracker, helps supports a company’s efforts in meeting its service goals, as well as boost productivity, customer service and quality. All the while, this ensures customer phone interactions act in accordance with the law. Majuda’s CallTracker is suited to securely record, store and playback all voice communications, which mitigates the risk of reputation damage, minimizes exposure to disputes as well as legal risks and costs, all the while improving internal policy compliance. The Majuda QualityTracker goes a bit deeper to evaluate employee performance and gain insight into customers’ experiences with your business, which in turn helps a company improve customer service levels and retention, create effective training programs for agents, and develop corporate best practices and procedures for an organization. Security and compliance. With a technology that exists partly to protect you against litigation, it should come as no surprise that security is paramount. This is true in a few different senses. First, all the voice communications you record should be stored in an encrypted format. If a court of law ever requires you to produce any recordings, this is the best way you have of proving that there has been no tampering. System infrastructure and architecture. In order for you to be assured of the reliability of your recording solution, you need to make an investment in the underlying infrastructure. To be sure, you could run a recording solution over a PC running Windows XP if you wanted – this is how many small call centers get started. However, if you have a relatively big call center – anything over 20 or 25 seats – you probably don’t want to do this. The advantages of Web delivery. Up until a few years ago, the most feature-rich software applications were only available on proprietary interfaces – usually the Windows platform. This is no longer the case. In the same way that there has been a step improvement in the functionality of Web sites, there has also been a step improvement in the functionality of Web-delivered software. Proactive site monitoring. Software applications aren’t failsafe, as any IT manager can tell you. Scalability and multitenancy. You wouldn’t buy a studio apartment if you were about to get married and have a family, and neither should you buy a call-recording system that can’t accommodate your future growth. Archiving. Most call centers need to be able to retrieve calls for several years. However, audio files are large, and if you’re running a big call center – say, one handling tens of millions of calls a year – you’re going to fill up your hard drives pretty quickly. Agent evaluation and quality monitoring. With call centers becoming increasingly common as a customer touch point – for online companies, it may be the only time when they engage customers directly – call recording’s second benefit, as a means of keeping tabs on the quality of customer service, is becoming increasingly central. Licensing and total cost of ownership. Cost is another important consideration, and can be hard to figure out for inexperienced buyers. Healthcare providers are finding it increasingly more important to secure patient data and become compliant with industry regulations as per new requirements on the healthcare reform bill. Majuda’s Voice Suite takes into account all regulatory requirements as accountability and customer service are becoming more important to healthcare organizations’ success around the world. JK: How important is call recording to the healthcare industry in terms of the retention of customers? EK: Call recording plays a critical role in customer retention. Being able to improve the overall impression and attitude of customers towards any company is crucial. The best way to do this is to have the correct tools at your disposal, and being able to effectively leverage these tools to improve the effectiveness of agent training programs, increase agent performance levels - all by gaining insight into how your customers experience your business and making the changes to internal policies ad procedures. None of which would be possible without call recording and quality management. JK: How do Majuda’s call recording solutions help healthcare companies manage their customer interactions? EK: Majuda helps by giving healthcare companies the tools to improve internal policy compliance and agent performance through our enterprise quality management solutions. By recording 100 percent of all incoming and outgoing calls, Majuda also helps manage interactions by allowing for seamless search, retrieval and playback of calls in a small amount of time. Our sorting and grouping technology also allows for more in depth understanding of call volumes, handling times and other critical KPI's have been proven to improve customer satisfaction and overall bottom line. JK: In an industry such as the healthcare one, where sensitivity and privacy are key, how do Majuda’s solutions aid and abet such results for companies in the healthcare industry? EK: Majuda’s compliance recording module provides integrated technology that is able to identify when sensitive patient information is discussed and transmitted over the phone. It instantly removes the sensitive information from the call record and the desktop screen capture record in order to comply with HIPAA regulation and make the patient feel safe and secure in knowing that their sensitive information is not available to anyone that has access to company call records. This morning’s session, Innovations in Call Recording, being held from 10 to 10:45, promises a powerful, informational discussion of call recording. Evan Kahan, vice president of Operations at Majuda, a provider of enterprise call recording solutions and quality management services, will discuss how to effectively implement solutions into your communications environment, as well as how to get the most of your solution as you seek to develop your agents into true brand ambassadors. Kahan will contribute to a discussion on the ever-increasing pressures on the call recording industry today. When considering the growing restrictions that laws and compliance regulations place on organizations, businesses require increasing performance capabilities from their call recording providers. Today's economy combines with an ever-increasing pressures to compete and improve performance while maintaining compliance with stringent laws and regulations, are driving businesses to evaluate potential call recording options. Not only does it just make sense, but many businesses are simply required to record phone calls for an undisputable record of interactions. Others find implementing call recording offers the most effective and affordable way to demonstrate a pattern of compliance or to develop an enhanced training program to increase customer satisfaction. Along with several other thought leaders in the call recording industry including Jonathon Fuld, CTO of SIP Print (News - Alert), and Tony Compton, director of Marketing at Knoahsoft, Kahan will cover the basics of call recording and how businesses can effectively implement solutions to get the highest levels of productivity from their agents. Rich Tehrani (News - Alert), CEO of TMC recently got a sneak peek on what Kahan believes will be brought to market in 2011, and how 2010’s important technological developments will influence those of the coming year. As a speaker on Feb. 4 during the session titled “Innovations in Call Recording” at 10AM on Feb. 4 in the Miami Convention Center, Kahan will contribute to a powerful discussion on the ever-increasing pressures on the call recording industry today. When considering the growing restrictions that laws and compliance regulations place on organizations, businesses require increasing performance capabilities from their call recording providers. Along with several other thought leaders in the call recording industry including Jonathon Fuld, CTO of SIP Print, and Tony Compton (News - Alert), director of Marketing at Knoahsoft, Kahan will cover the basics of call recording and how businesses can effectively implement solutions to get the highest levels of productivity from their agents. Rich Tehrani, CEO of TMC (News - Alert), recently got a sneak peek on what Kahan believes will be brought to market in 2011, and how 2010’s important technological developments will influence those of the coming year. Check out the full exchange below, and don’t miss the “Innovations in Call Recording” session at ITEXPO East 2011. EK: With cloud computing being more accepted into the enterprise, I believe the obvious impact would be on the solution providers whose technology inhibits them from migrating over into the cloud. I believe that providers that have harnessed the ease-of-use and secure deliverability of cloud computing will be most impactful and most successful in 2011. RT: What impact will mobile technology have on the tech space in 2011? EK: The obvious answer is that more and more people are feeling comfortable using their mobile phones for their day to day online experiences therefore taking away some of the market strength that manufacturers of desktops and laptops. RT: Where are the best opportunities in the tech space this year? EK: I believe WFM is a great sector to be in for 2011 with a projected growth of 40 percent. RT: How can technology change the world for the better? EK: Efficiency. Technology can provide efficient and cost effective solutions to the world’s problems, leaving revenue and manpower to better improve the aspects of the world that technology cannot touch. RT: What impact has social media had on how you interact with your customers? EK: How do you measure its effectiveness? Very hard to quantify its effectiveness. EK: No, not for collaboration. RT: What will be the greatest technological development in 2011? RT: Why is your session a must-attend at ITEXPO? EK: Call recording session will uncover key components and misconceptions in the call recording arena. It will also cover policy compliance, the ever changing regulatory landscape. EK: Analytical Surveying – cross section between companies understanding of agent performance and actual customer interpretations of a call. RT: Please make one surprising prediction for 2011. To find out more about Evan Kahan and Majuda, visit the company at ITEXPO East 2011. To be held Feb. 2-4 in Miami, ITEXPO is the world’s premier IP communications event. SPEAKER is speaking during “Innovations in Call Recording.” Don’t wait. The compliance module comes replete with a blackout feature that prevents the recording of sensitive data in audio and in agent desktop capture. It also features secure storage and transmission of audio and video recordings, as well as control and report on who has access to customer interaction data. JK: What is the primary function of the compliance module? EK: Primary function is to provide call recording and QM solutions that adhere to regulation which governs the recording and storage of sensitive customer information such as credit card information, health care information etc.JK: How will it benefit Majuda’s customers? EK: This module will allow Majuda customers who accept payment over the phone, who obtain sensitive health care information over the phone, etc. to have the peace of mind in knowing that their sensitive customer information is captured correctly under the security guidelines from the PCI security alliance and other governing bodies as well being encrypted and stored correctly using enterprise level security procedures.JK: Has the module’s development come from Majuda’s observation of any call recording industry trends recently? EK: Yes. Majuda has noticed a trend especially in the contact center market for compliance recording. It is from this trend together with feedback from our clients that we decided to move forward with our compliance module.JK: How is the pricing as compared to Majuda’s competitors’ products? EK: As of now, Majuda offers our compliance module free of charge to our enterprise clients. This is a special that we will be running through the end of Q1 2011. From then on, we will still be true to our model of having the lowest total cost of ownership of any enterprise level recording solution on the market and our compliance module will fit into this. Majuda Corporation “drawson the expertise of industry experts who have been in the IT and Telecommunications industry for over a decade, to provide a range of training opportunities,” company officials say. Earlier this month TMC’s (News - Alert) Juliana Kenny wrote that as the first call recording product to incorporate Microsoft (News - Alert) Silverlight, Majuda Voice Version 7.0 “creates a Web-based user experience that gives users a new interface with which they can navigate through archives of hundreds of thousands of phone calls. Majuda Voice Version 7.0 “is our core product,” according to Evan Kahan, VP of operations. Kahan noted that the version benefits enterprises by including seamless integrations, its ability to adapt to different environments, recording off analog digital and VoIP platforms, as well as its scalability. Majuda Voice Version 7.0 is also deployed on enterprise hardware with “enterprise database configurations and security,” Kahan revealed in an interview. Majuda Voice Version 7.0 “is our core product,” according to Evan Kahan, VP of operations at Majuda. Kahan noted that the version benefits enterprises by including seamless integrations, its ability to adapt to different environments, recording off analog digital and VoIP platforms, as well as its scalability. Majuda Voice Version 7.0 is also deployed on enterprise hardware with “enterprise database configurations and security,” Kahan revealed in an interview. The new version allows users to sift through massive quantities of call data through multiple search criteria without incurring huge costs or threatening employee productivity. With the acquisition of Silverlight into Majuda Voice Version 7.0, the new solution provides enterprise flexibility and functionality, and, as a result, is extremely competitive and most importantly cost-effective when it comes to other market standards. The solution includes such benefits as desktop screen capture, time-based note capture, instant play, agent imaging, call sorting and grouping, and MajudaAlert – the industries first proactive remote site monitoring tool for call recording applications. The Enterprise Call Recording community is designed for decision-makers from service providers and enterprise seeking information about Enterprise Call Recording—including compliance, IP, analog and digital recordings, and quality management. Information on the Enterprise Call Recording community addresses issues important to decision-makers in the call center market. Visitors to the Enterprise Call Recording community can find valuable resources such as feature articles, industry news, white papers, free product trials and e-demos. TMCnet’s communities are editorial platforms pertaining to specific topics in the IP communications, call center, customer relationship management, and information technology industries. These communities are repositories for a variety of information in different formats, including original bylined articles, forums, e-newsletters, videos and podcasts, blogs, white papers and case studies. In addition to its secure recording, Majuda offers reporting and analysis tools enabling its customers to harness knowledge and decision-making information to better the efficiency of their call centers. Giving them insight to improve agent performance and increase revenue, Majuda empowers its clients to optimize communications resources and agent performance. TMCnet is the leading Web site for communications and technology professionals. TMCnet is visited by nearly two million unique monthly visitors and generates more than 40 million page views every month, according to Webtrends. GOCs are a robust editorial platform with layer upon layer of content in multiple media formats, focused on a specific area of the market designed in conjunction with the sponsor of each site. Each GOC is a vibrant community the ranks well on leading search engines and gets frequently bookmarked by decision-makers. GOCs are highlighted on TMCnet by appearing in the top tabs on each page of the site. Learn more about TMCnet’s Global Online Communities, http://www.tmcnet.com/community/, or contact Tim Goins, 203.852.6800 ext. 229 or tgoins@tmcnet.com. Technology Marketing Corporation (TMC) is a global, integrated media company helping our clients build communities in print, in person and online. TMC publishes Customer Interaction Solutions, INTERNET TELEPHONY, Unified Communications, and NGN magazines. TMCnet, TMC's Web site, is the leading source of news and articles for the communications and technology industries. TMCnet is read by two million unique visitors each month on average worldwide, according to Webtrends. TMCnet has ranked within the top 3,500 in Quantcast's (News - Alert) Top U.S. sites, placing TMCnet in the nation’s top .03% most visited Web sites. In addition, TMC produces ITEXPO; Social CRM Expo; 4GWE Conference and M2M Evolution (in conjunction with Crossfire Media); Digium|Asterisk World (in conjunction with Digium (News - Alert)); and Smart Grid Summit (in conjunction with Intelligent Communication Partners). TMC serves other communications market segments with the Cloud Communications Summit (in conjunction with Light and Electric); CVx ChannelVision Expo (in conjunction with Beka Publishing); and MSPWorld™ (in conjunction with the MSP Alliance (News - Alert)). TMC also serves technology professionals with industry-specific Web sites: InfoTech Spotlight, 4GWE, M2M Evolution.com, Smart-Grid.TMCnet.com, Smart Products Ecosystem, Robotics.TMCnet.com, Cable.TMCnet.com, Satellite Spotlight, Green.TMCnet.com, Healthcare.TMCnet.com, Business Video, Finance.TMC.com, Legal.TMC.com and Education.TMCnet.com. Majuda Corporation, a U.S. based corporation headquartered in Boca Raton, Florida, specializes in the development of call recording and quality management solutions that present organizations of any size with the ability to securely listen, understand and react to the needs of their customers and employees. The value Majuda delivers is the ability to leverage call recording as a secure and regulatory compliant tool to mitigate risk and liability exposure while enhancing call center effectiveness and agent performance. Majuda’s reporting and analysis tools empower clients with the knowledge and insight to improve agent performance, optimize communications resources and increase revenue. Whether you're a contact center, health care provider, law firm or financial services company, Majuda has the solutions, knowledge and expertise derived from 10+ years in the industry to get the job done right. Our unrivaled pricing, ability to integrate systems with unparalleled efficiency and commitment to customer service and support, sets Majuda apart from our competitors. Officials with Replay Systems said that under the agreement, Replay’s customers will benefit from one of the industry’s lowest “total cost of ownership” solutions as well as its first to market “Pro-active Remote Site Monitoring System” Majuda Alert. “The Majuda Voice Suite is also the industry’s first solution to be developed using Microsoft (News - Alert) Silverlight, allowing a richer Graphical User Interface with the functionality of a client based platform on a total web-based platform,” said Michael Levy, V.P. of sales and marketing at Majuda, in a statement. Levy said that the company is thrilled to have Replay on board and look forward to breaking new ground together. “We understand the importance of implementing solutions that are not only affordable at the time of purchase but in the future as well,” said Scott Hurley, president and CEO of Replay. Hurley said that Majuda Voice solutions’ low cost of ownership combined with its flexible licensing options, delivered on industry standard servers, is a great fit for any size call center with a budget. Earlier in November Rave Mobile Safety, a provider of software solutions for individual, group and public safety, and Replay Systems had announced a national sales & distribution partnership for Rave’s patented Smart911 solution. Smart911 is a software solution that allows citizens to enter important safety information online, and have that information automatically displayed to 9-1-1 operators if and when an emergency occurs. This partnership enables Replay Systems to sell and distribute Smart911 to 9-1-1 centers nationwide. Offering its voice software to resellers at no charge will enable them to take advantage of its end-user benefits and resulting sales increases. Michael Levy, vice president of sales and marketing at Majuda stated, “We continue to strive to make a cost effective, feature-rich system which allows our reseller partners to be exceptionally competitive in today’s economic times.” The Majuda Voice Suite is comprised of performance-enhancing features for the enterprise including call recording, screen capture, quality assurance and reporting. All of these features are delivered with a low total cost of ownership. As a leading provider of enterprise call recording solutions, Majuda offers a Pro-active site monitoring tool that is the first on the market of its kind. The tool enables customers to install a constantly monitored environment resulting in an improved customer experience and overall sales growth. The company also recently announced a partnership with Replay Systems for call recording solutions. Replay supplies round-the-clock support for its maintenance services and offers “best fit” solution advice from experienced manufacturers. The company provides assistance installing call recording solutions including speech analytics, screen analytics, quality assurance, and next-gen 911 applications. Majuda is offering a service that has the typical legacy components of call recording suite, but offers them in a slick package with front and back end support generally not offered in a reporting option. Majuda’s VP of operations Evan Kahan spoke about the software at this year’s international Call Center Expo. Call recording is a vital spoke in the wheel of call center operations, and many other products rely on it. “Work force management doesn’t exists without call recording, but no one wants to spend the money on it,” Kahan said, “We offer a cheap reliable recording suite that will work with any system.” Majuda’s products will work on any platform and offer customers’ unlimited scalability, allowing them access to quality of service metrics in realtime. According to the websites product description ”The Majuda Voice Suite combines Majuda CallTracker and Majuda QualityTracker to provide a synergistic all-in-one solution that enhances an organization's ability to listen and understand customers' wants and needs; ensure service level goals are met and maintained and increase call center productivity, quality and effectiveness.” The software has an intuitive interface designed with Microsoft’s (News - Alert) Silverlight, and making full use of menus, interactive feeds, and metrics. The company got its start in South Africa and expanded 3 years ago to the United States; its main goal at the International Call Center Expo reaching potential customers of its capabilities. “Now that we’re starting out in the American market education is key, especially when it comes to letting them know that we beat all competitors in terms of scalability,” Kahan said. The pricing options for this solution work from SMB all the way to the largest enterprise level call center. Lines can be added as needed and so can supervisor licenses. Eliminating the need to purchase lines or licenses in bundles means that a call center really can scale however it’d like. Feature rich platforms like Majuda’s are essential to a call centers ability to monitor quality of service. Majuda Voice Suite is a perfect way for contact centers large and small to get intuitive call recording without the line, license and maintenance fees typically associated with it. Chris DiMarco is a Web Editor for TMCnet. He holds a master's degree in journalism from Quinnipiac University. Prior to joining TMC (News - Alert) Chris worked with e-commerce provider Suresource as a contact center representative and development analyst. To read more of his articles, please visit his columnist page.